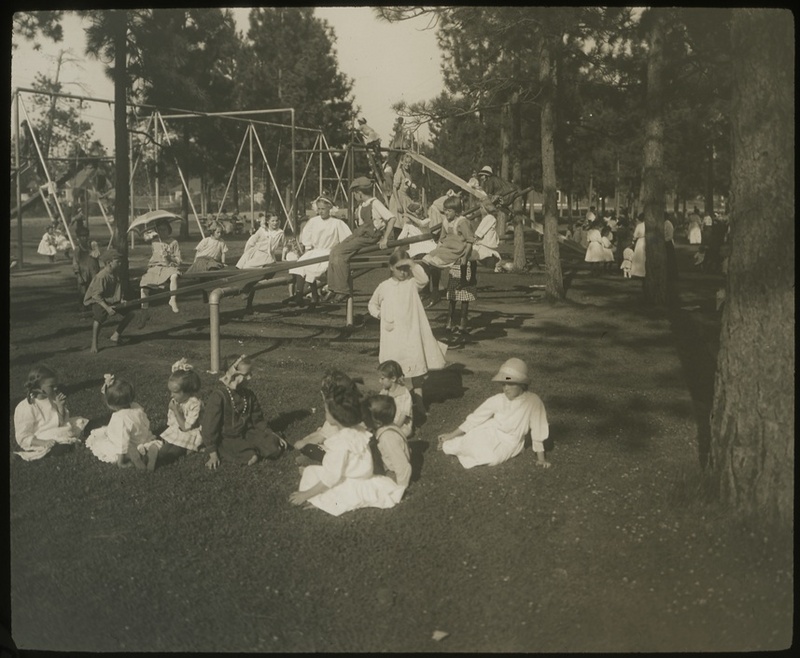 This area of the park has always been a playground area for children, and if you had visited this section in 1910, it might have looked about the same. The playground is at the southern most edge of Manito Park, extending to 25th Street between Tekoa and Division. People without children seldom visit this section of the park. In the early days there wasn't money for park equipment for children to play on. Charles Balzer, the park's first superintendent, built a swing set using power poles. His son remembers his father giving away free ice cream one weekend to show park officials the need for playground equipment. There were lines of children waiting to swing on the only two swings in the park. In the 1913 Report of the Board of Park Commissions, John W. Duncan reported the fields were seeded and graded and ready for playfield purposes. Four new tennis courts were added to the two existing ones at 17th and Grand, and a bowling green put in. Occasionally Manito Park would host tennis tournaments on these courts, which were paved in 1926. Over the years, the Parks Board added new pieces of playground equipment. The playground had a wading pool, checkers, horseshoes, softball games, tennis, touch football, swings, slides, and parallel bars. The playground has gone through several transitions through the years but it has always been a popular place for children to come and play. In 2001, the Upper Manito Playground was the first playground in Spokane to install play equipment with a ramp and elevated play areas for children in wheelchairs. Manito Playground: Image part of the glass plate negatives from the Spokane Parks and Recreation Department, accessed from the Tony and Suzanne Bamonte Collection, Spokane, WA. Manito Playground circa 1909: Image part of the glass plate negatives from the Spokane Parks and Recreation Department, accessed from the Tony and Suzanne Bamonte Collection, Spokane, WA. Narration from memories of C. Norb Balzer, Northwest Room, Spokane Public Library, Spokane, WA and files from the Northwest Museum of Arts and Culture, Spokane, WA. 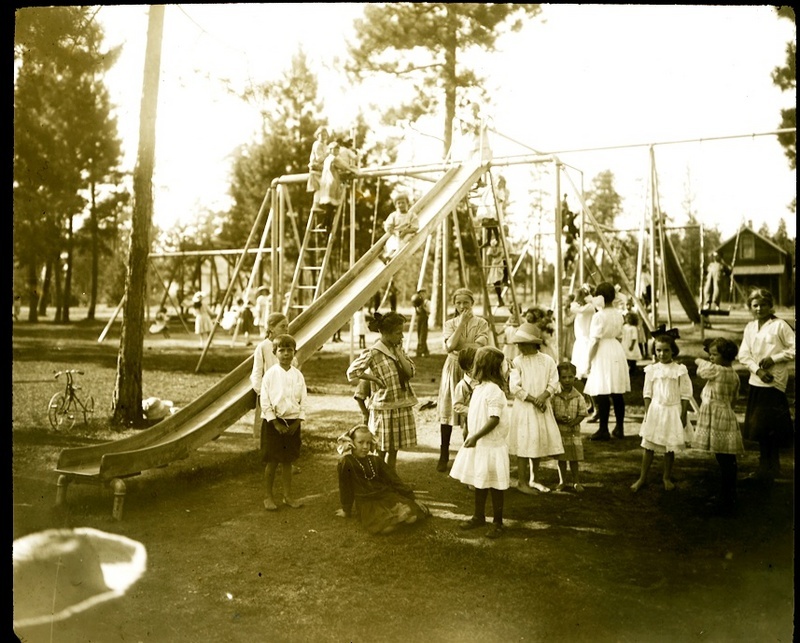 Tracy L. Rebstock, “Upper Manito Playground,” Spokane Historical, accessed April 21, 2019, https://spokanehistorical.org/items/show/24. 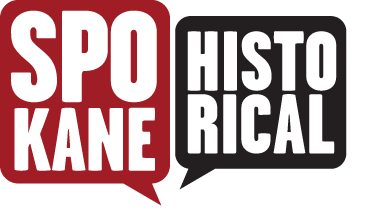 Tony and Suzanne Bamonte, Manito Park: A Reflection of Spokane's Past (book) 1998, Spokane, WA. Jim Kershner, "At 100 With Nature." Spokesman Review, May 16, 2004; Manito Park - City of Spokane Parks and Recreation Department, City Hall, Spokane, WA. Lee Sahlin (1990) To Manitou, Northwest Room, Spokane Public Library, Spokane, WA.